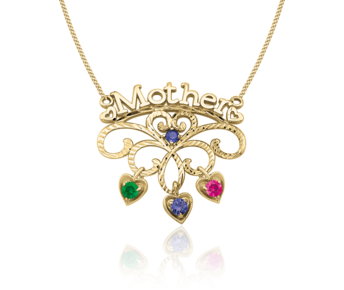 This crown jewel is a celebration to all the Mother's out there. 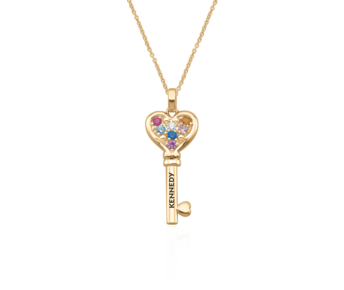 Buy her this beautiful pendant to let her know how much she means to you. 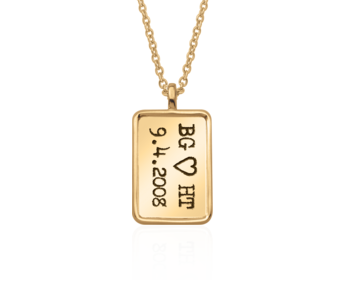 Simple and timeless, this family pendant represents Mom's life journey of cherished family memories. Available with 1 to 5 round stones, varying in size from 3 to 2 mm. 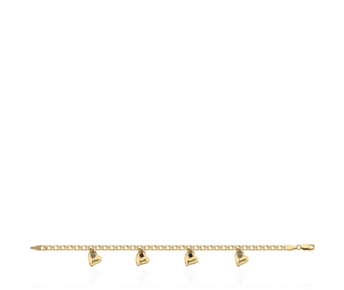 Available with an 18" or 20" chain. 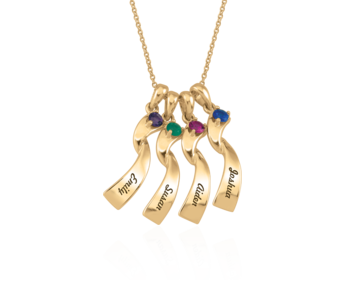 Capture memories of birth months and years with sparkling gemstones in descending size that make a statement of family unison bound with an encircling ribbon of gold. Available with 1 to 9 round stones, varying in size from 3.5 to 2 mm. Available with an 18" or 20" chain. 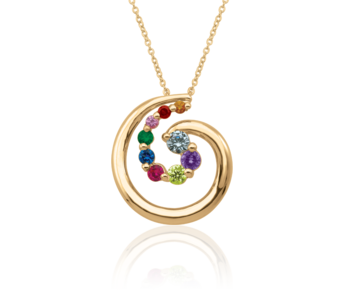 Life's journeys are captured in this simple design allowing each gemstone to stand out and tell a story of month and year. Available with 1 to 6 round stones, varying in size from 3.5 to 2 mm. Available with an 18" or 20" chain. 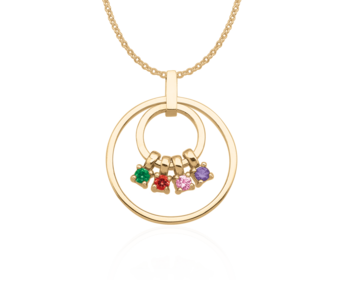 Love and Family are celebrated and combined in this simple and stylish pendant. 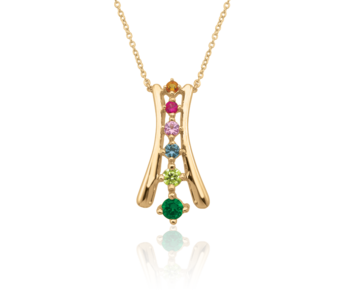 Cascading gemstones in ascending sizes illustrates your family's journey, for Mom to cherish forever. 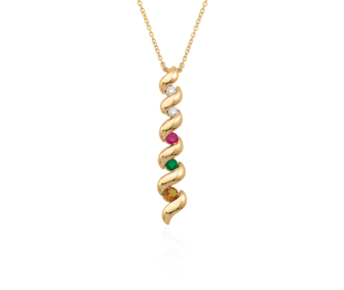 Available with 1 to 6 stones, varying in size from 3 to 1.5 mm. Available with an 18" or 20" chain. 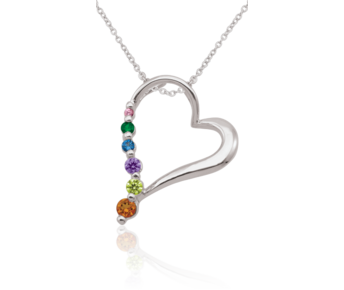 This modern journey style type Family pendant celebrates the journey of love. A heart shaped charm bracelet that combines modern chic with wonderful creativity. It is both youthful and symbolic. 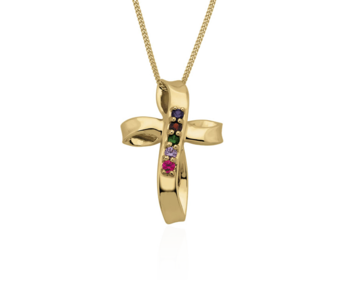 Available with 3 to 7 charms, each containing 1 round stone measuring 2.5 mm. 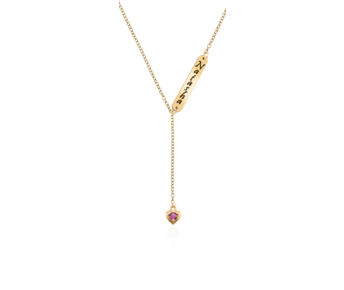 A distinct and stunning piece of jewellery that is enhanced by the marquise shaped stones that are sprinkled throughout this masterpiece. Available with 2 to 8 marquise stones, each measuring 5 x 2.5 mm. 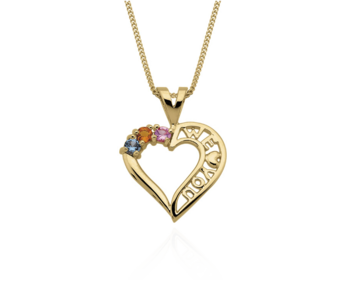 A Family Circle of love represents eternity and the long lasting love in 10K or 14K Gold. 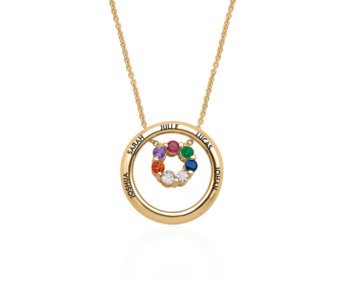 Customize this modern Family necklace for her to wear close to her heart. 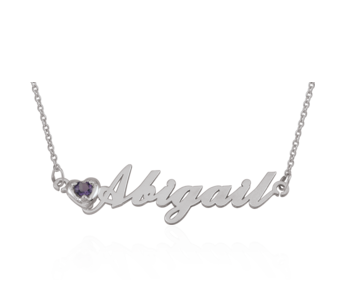 This elegant stylish birthstone nameplate is a perfect gift on any occasion. 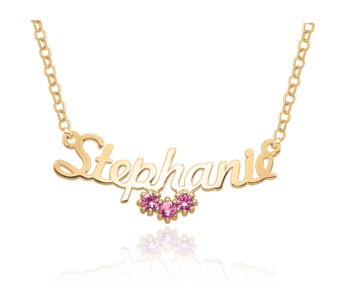 This elegant name necklace allows for individuality. 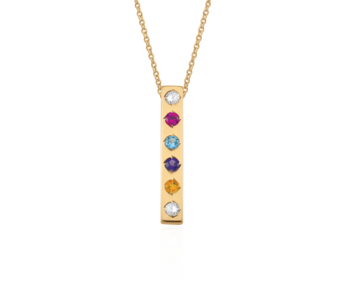 Customize this name necklace with 3 of your birthstone or a combination of birthstones.